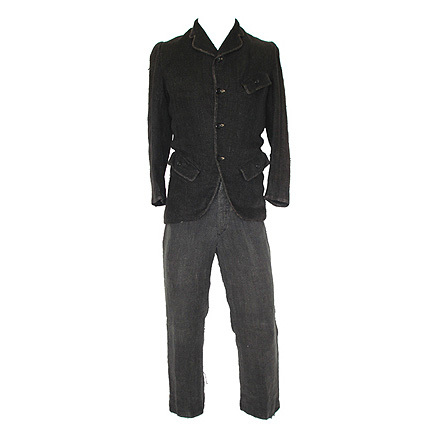 "This black two-piece period western suit was worn by the character Jack Crabb portrayed by legendary actor Dustin Hoffman in the 1970 motion picture LITTLE BIG MAN starring Faye Dunaway. 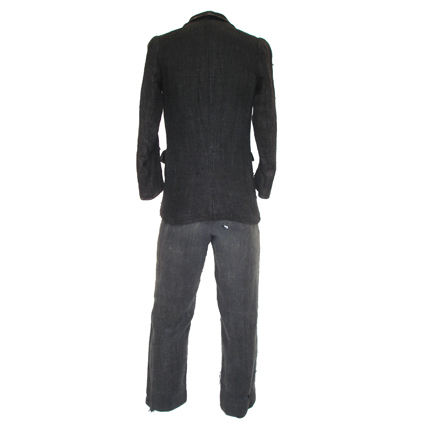 The outfit is comprised of a black jacket with flap pockets and a pair of gray trousers and was worn in numerous scenes throughout the film. 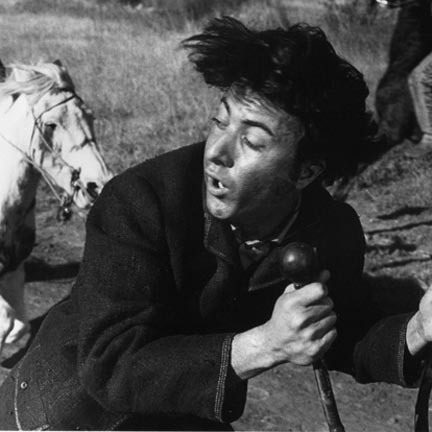 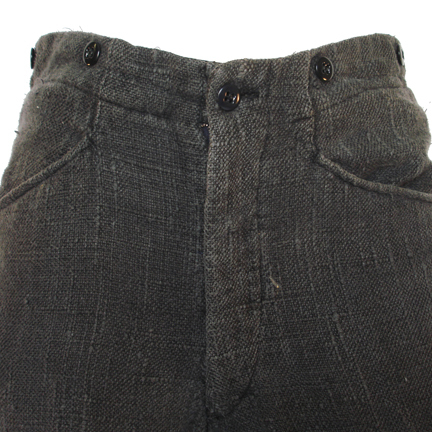 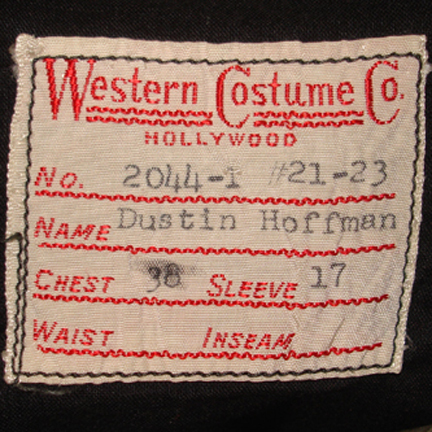 Both garments are in good hand distressed condition as seen in the film and have the original Western Costume Company labels sewn inside each with DUSTIN HOFFMAN clearly typed. 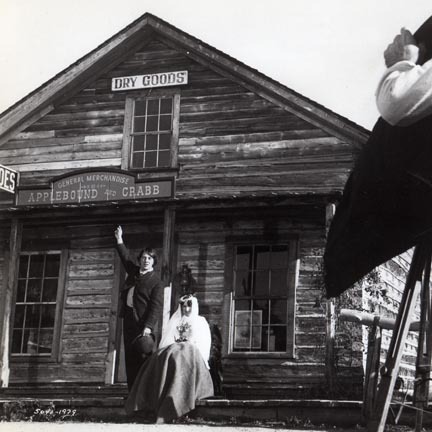 LITTLE BIG MAN was nominated for an Oscar in 1971 for Best Supporting Actor (Chief Dan George) and received numerous other nominations at The Golden Globes, the BAFTA Awards, as well as several wins from The National Society of Film Critics, The New York Film Critics Circle Awards, and The Moscow International Film Festival. 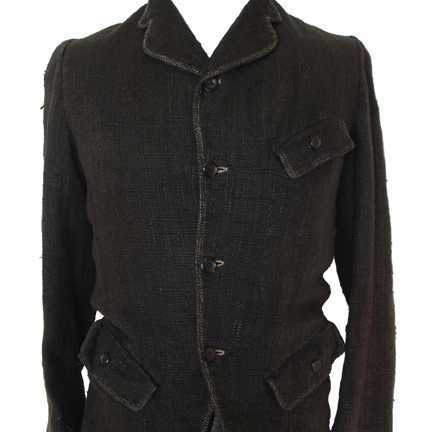 This amazing piece of memorabilia from one of Hollywood's finest actors will make an impressive addition to your collection of screen worn memorabilia. 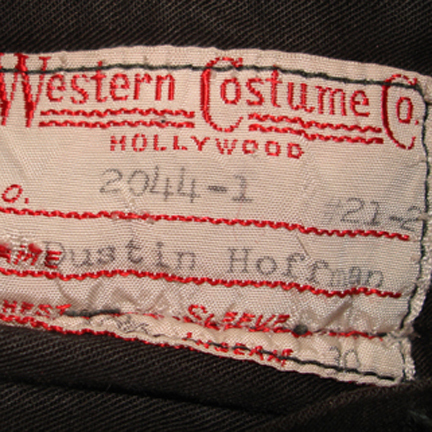 Accompanied by a letter of authenticity from the costume house."